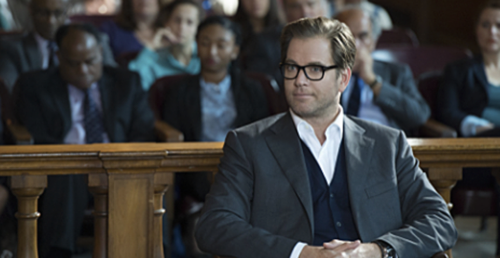 Tonight on CBS their new drama Bull inspired by Dr. Phil McGraw airs with an all-new Tuesday, September 27, 2016, episode and we have your Bull recap below. On tonight’s Bull season 1 episode 2, A gender bias is unearthed about Dr. Bull’s (Michael Weatherly) new client, a female pilot accused of negligence following a plane crash. Did you watch last week’s Bull premiere episode where we met Dr. Bull whose combination of remarkable insight into human nature, three Ph.D.’s and a top-notch staff created winning strategies that tip the scales of justice in his clients’ favor? If you missed it we have a full and detailed Bull recap of last episode, right here. An unfortunate plane crash meant sixty-two of the passengers died in one fell swoop on tonight’s episode of “Bull” however one of the pilots managed to miracles survive and that didn’t appear to be a good thing for anyone. The whole world as well as the people that were trying Captain Taylor Mathison for Gross Negligence believed that she was responsible for what happened on Flight 1372 so they wanted her to be found guilty. But what surprised Bull and Marissa was the fact that the airlines wanted the captain to just admit fault and that way they could reach a settlement with the grieving families. So the one of the reason Bull took her case was because he wanted to show the captain that someone believed in her. Everyone else was vilifying her, but not Bull and not his team. So they done what they always do for a client and they had done a preliminary search on the case. They had found out that the captain had suffered six broken ribs and a severe concussion following the accident and that the concussion might explain why she couldn’t recall what happened on the flight. Though there seemed to be some discrepancy over who was the pilot and who was the copilot. The tech team that had given the plane the once over before it took flight had said that the copilots always check the plane beforehand and so it was strange that one of the technicians in charge had said she instead of he. Captain Mathison’s copilot had been a man and so it had been strange that the technician said that. However, once they had run several mock trials, they had realized that the technician might have the same problem that everyone else was having. They were all gender bias. They saw Taylor rather than Captain Mathison and they automatically blamed her being a woman. So the only time that Bull’s team won a mock trial had been when he stood in as the Captain and the jury had thought a man was being blamed for what happened on Flight 1372. And so the only way they could go forward was for them to find a way to work through that bias that many people didn’t know they had. Yet, the captain’s lawyer was still working against the team. The lawyer didn’t believe that Bull would be able to play the gender bias card and thought the whole mock trials thing was foolish. So everyone had merely thought the lawyer had been pushy when they, but he showed his true colors when he told Marissa that her plane was never going to work and then told Captain Taylor that it would be easier if she admitted fault. Which she would have done if she thought the lawyer that the airlines had hired for her had actually been looking out for her best interest. And thankfully for her that hadn’t been the case. Bull had informed the captain that there had been a certain contingency in her contract that meant her lawyer would automatically get richer if she admitted fault. So that meant the lawyer had never been looking out for her best interest however he was worried about his own bottom line so Captain Taylor decided to fire him. She said she rather take her chances with someone else and Bull had assured her that they had a competent lawyer on their team already. And so the Captain had agreed to Benny being her new lawyer yet she hadn’t known that he had been fired by the District Attorney’s Office when she had hired him. Finding out that last part had unnerved the captain. Though she had had confidence in Bull so she let him convince her that Benny was her guy and he was her guy. Benny had gone into jury selection and had worked with the team to eliminate everyone that had gender bias. So they thought their biggest issue would be the fact that someone of the people they selected could go either way, but that wasn’t the case when later one of the women they thought would be for Captain Taylor automatically had hated Taylor for some reason. That juror’s change of heart simply hadn’t made sense so Bull had asked for her background and he had then asked what does the woman that juror’s husband left her for looked like. No surprise the mistress looked exactly like the captain and that’s why the captain wasn’t winning with that particular juror. However, Bull had a strategy to combat that and so he asked that a certain window to come in and go through a mock trial. Mary was Ken’s wife and she had also been the captain’s friend though Mary wasn’t speaking to the captain because she suspected that the other woman had an affair with her husband. Only the captain said that she didn’t have an affair with her copilot and she also refused to name names when Bull who was the mistress? So Bull and his team had to figure that out on their own. What they found out from looking through social media accounts from the people on that flight was that Ken had been having an affair with the woman in 8D. The woman’s name had been Tanya Bryant and Ken had broken up with her a few minutes before the plane crashed. So Bull had asked Captain Taylor if they could bring that up in court and say that Ken was distracted however she didn’t want to go there. She thought it was wrong to blame her dead friend and had actually considered taking the deal that her original lawyer had set up. Yet, Bull took her through a flight simulation and the simulation proved that if Taylor hadn’t done what she did then her plane would have crashed in a residential neighborhood. So that was Benny’s defense. He said that Taylor broke protocol to save the lines that she could and that she had been a hero for doing so. But nothing was assured and Benn was nervous about what the jury would come back. Benny hadn’t been in court in a pretty long time and so he feared that his skills in the courtroom was a little rusty yet he had nothing to worry about because he told a story that managed to change the two men that were on the fence about the Taylor. And the jury came back with “Not Guilty”. Though when everything was said and done, Taylor had just been happy that Mary had forgiven her and had allowed her back into the children’s lives.